“We do not believe in fighting for fighting’s sake.” — Heyman Enerio Gattuso & Hirzel LLP often handles high stakes and bet-the-company litigation cases. With its partners being listed in the Chambers USA, all of the firm’s partners are also AV-Rated by Martindale-Hubbell. In addition, they are also listed as Super Lawyers in their respective fields and are included in the list of the Best Lawyers in America. 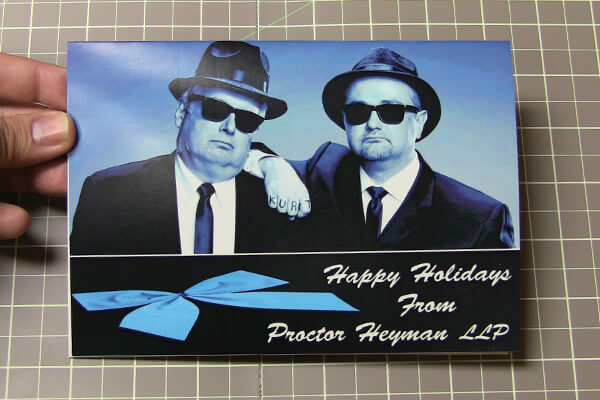 Using bigDAWGS’ Musical Greeting Cards, Heyman Enerio Gattuso & Hirzel LLP sends their warmest holiday greetings to all its respected clients for a successful year and for a prosperous year ahead. Attorneys at Law — practicing the art of winning through actions, not arguments.